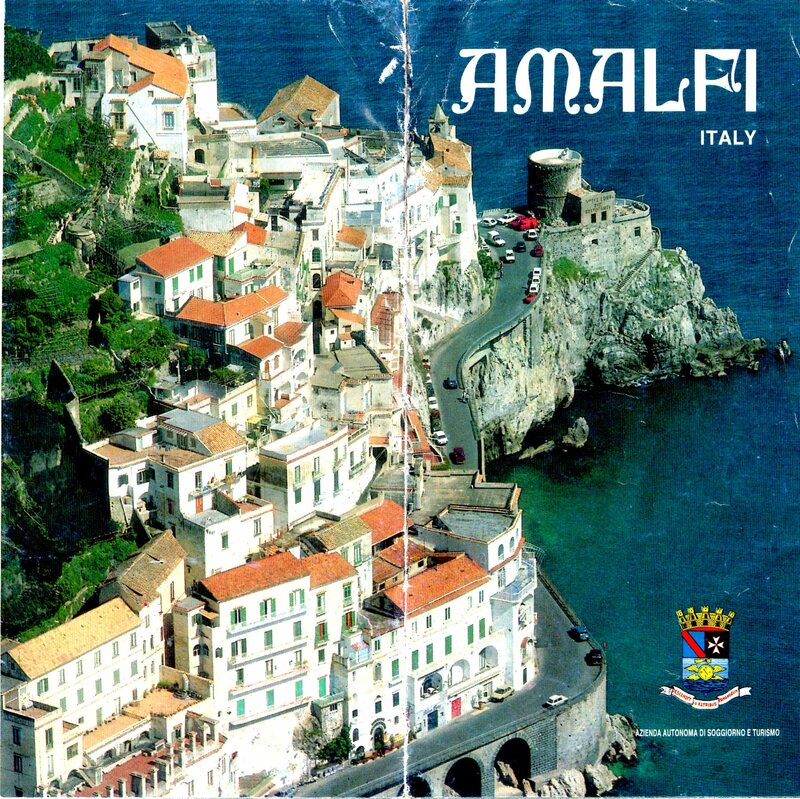 Welcome to the Amalfi Coast, considered one of the worlds most exotic and breathtaking coastlines. 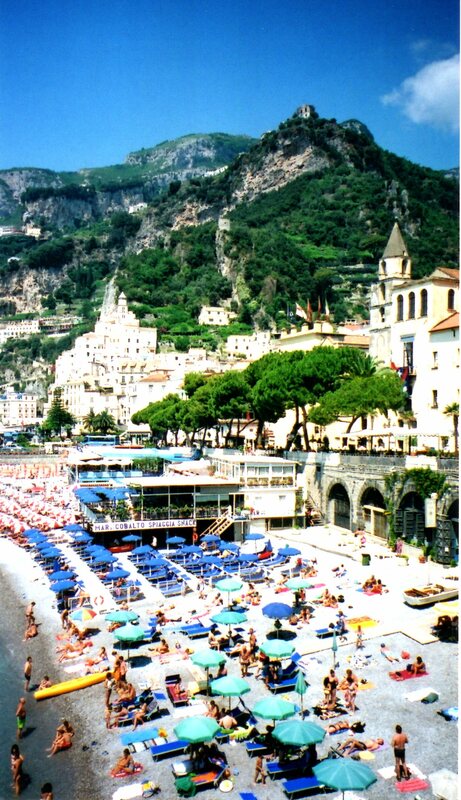 The sight of whitewashed villas tumbling down the vertical hillside to the ocean’s edge is enough to delight any tourist. Yet there are gems to be explored and worthy of a visit that you won’t want to miss. There are many sandy beaches offering ocean frolics, umbrella’s, and tasty refreshments. No matter which way you look, you are surrounded by Italy’s coastal treasures. Rising majestically off the Piazza del Duomo, St. Andrews Cathedral was built in the 1200’s on the site of an older cathedral, which was built on the remains of a previous temple. A flight of steep stairs takes you up to the Arab- inspired facade. An older basilica with the famed Cloister of Paradise resides next to it. St. Andrews’ remains, which were brought over from Constantinople during the 4th crusade, are kept inside the crypt of the Cathedral. A 13th century wooden crucifix, medieval frescoes by Andrea del’Asta and Egyptian granite columns add to provide an engaging atmosphere. 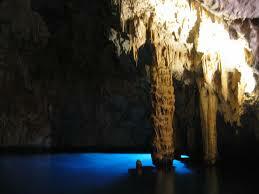 Flooded with translucent blue and emerald light, the Grotta della Smeraldo can be reached by boat. Discovered by a local fisherman in 1932, this grotto had remained virtually untouched for many years. The cavern roof is 24 meters above water level, hosting dramatic rock formations. 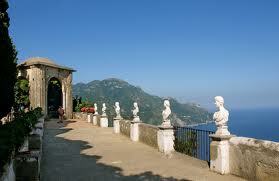 Originating in the 11th century, the Terrace of Infinity, also known as the belvedere of the Villa Cimbrone has predominately remained in custody of families of nobility. As the historian Ferdinand Gregorovius stated after a visit to the Villa,….“incomparable…..where the most beautiful flowers you can imagine flourished, coming from numerous plants of the South….redesigned and enriched with countless….ornamental features, small temples, pavilions, bronze and stone statues.” Truly not to be missed. 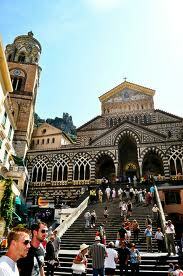 Amalfi is an excursion into the senses, filling your mind with exotic images and dramatic landscapes. My thoughts are never far from it, and still the scent of lemons on the ocean air brings me close to heaven.